A common issue with the BugHerd sidebar is that it's not showing on your site, but you do expect it to. Here are some steps to follow to help you check for the common problems. The BugHerd sidebar only shows to authenticated users who have an account on www.bugherd.com. BugHerd uses a 3rd party cookie to remember your login so that the sidebar will show on your site for all the invited users. It's possible that cookies have been deleted, or that you are using a different browser or different computer from when you last logged into BugHerd. If you're using the browser extension you may need to close the browser and open it after logging in for the extension to detect that you're logged in. BugHerd uses a 3rd party cookie to remember that you are logged in. Some browser settings allow you to block 3rd party cookies(cookies from sites other than the one you are currently on) to prevent things like advertising trackers cookies. Ad blocking extensions sometimes identify the BugHerd sidebar as an ad and prevent it from loading. You might need to disable your ad blocking extension or add an exception for BugHerd to your ad blocking extension to get the BugHerd sidebar to load. Note that if you use Web Developer tools, you can view issues with accessing our JS via the network inspector. You can also go to the embed script directly (it will be in the form of https://www.bugherd.com/sidebarv2.js?apikey=API_KEY). In most cases, this will help you address security/access problems. If you have multiple projects, it's possible that the incorrect widget was installed on the site. So someone who is a member on project A but project B's widget is loaded, then the sidebar won't show. The HTTP error code BugHerd for this issue is: 422. This error code indicates you are logged in, but you are not a member of the project. The project owner can disable certain projects. In this case the sidebar will no longer show. It's also possible that this happened because their plan expired. The HTTP error code used is 403. This indicated you are logged in and are a member of the project, but the project is disabled for all users. Sometimes ad-blocker or firewall type browser extensions can prevent BugHerd displaying, so if you have recently updated or install a extension like this, try disabling before trying again. This usually only occasionally applies for government departments or large corporations, but it might be worth checking with your IT department to make sure that there aren't security settings in place that override your own personal terminal, as these security settings can often be set without your knowledge. Again, you will be able to determine this by using the network inspector in your browser's developer tools. 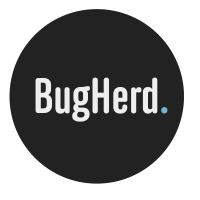 You will need to ensure that Cloudfront (or CDN) and Bugherd.com are accessible.